Just like Jordan Peele’s new movie title…. 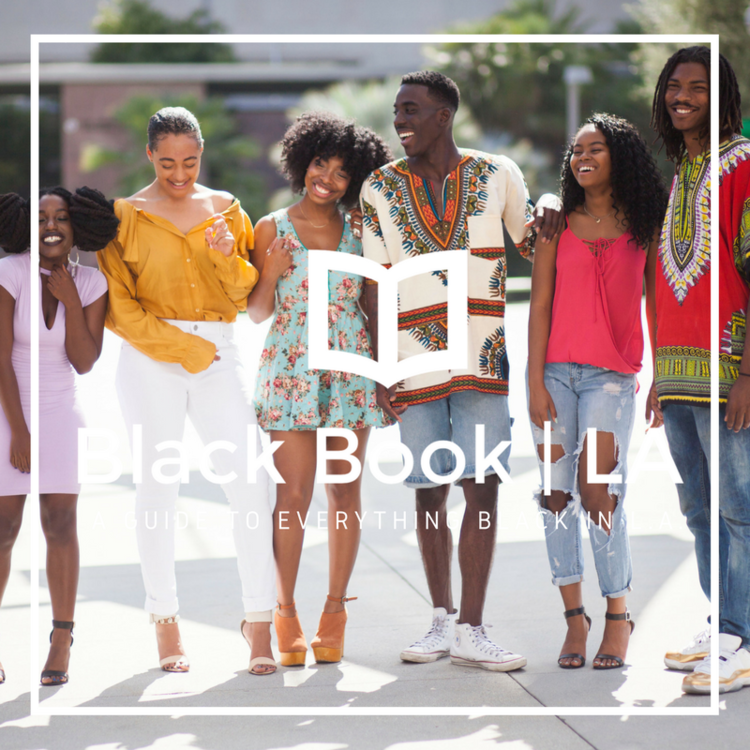 #BLACKBOOKLA is all about US! — With the dopest multicultural entrepreneurs, creatives, and industry leaders in Los Angeles. It’s a conversation you don’t want to miss as #blackexcellence entrepreneurs drop gems on finding our voice in our chosen industries. CSULB BLACK STUDENT UNION is coming through for the culture and hosting 2 private screenings this week for Jordan Peele's new movie, Us, in Long Beach and Los Angeles. We don’t know about ya’ll…but this is where we’ll be tonight. We did say the Black Student Union of CSULB was hosting two screenings of the much anticipated feature film by Jordan Peele, ‘‘Us’’ right? Yesterday was part 1, tonight is part 2! It’s a must see, trust us. 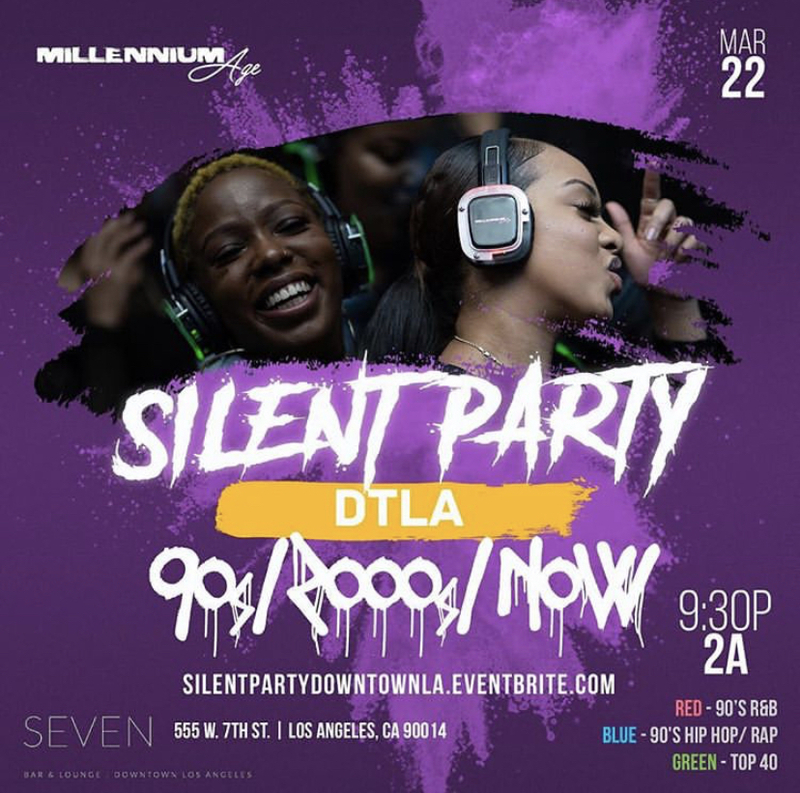 The Silent Party you don’t want to miss! 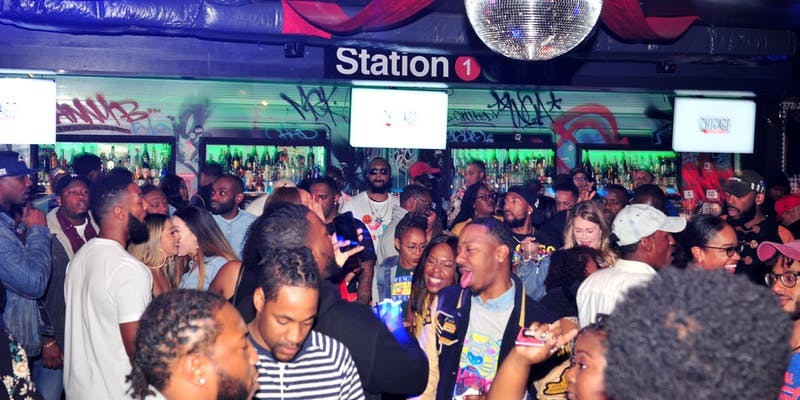 You have three DJs competing for your attention during this bash, spinning the hottest and dopest 90s, 2000s, and today's hits . And you get to decide which one you’ll be dancing to by changing stations through your wireless headphones! We already know it’s going to leave our legs worked out for tomorrow. Yoga + Our favorite 90s R&B jams? Oh yes , sign us up! We are all in for some #SelfCareSaturday…..we just hope they play our girl Toni Braxton. They brought us dope events like #SaveItForSaturday, #Photogenic, #MyTwistedNightmare, and now…their newest event….. 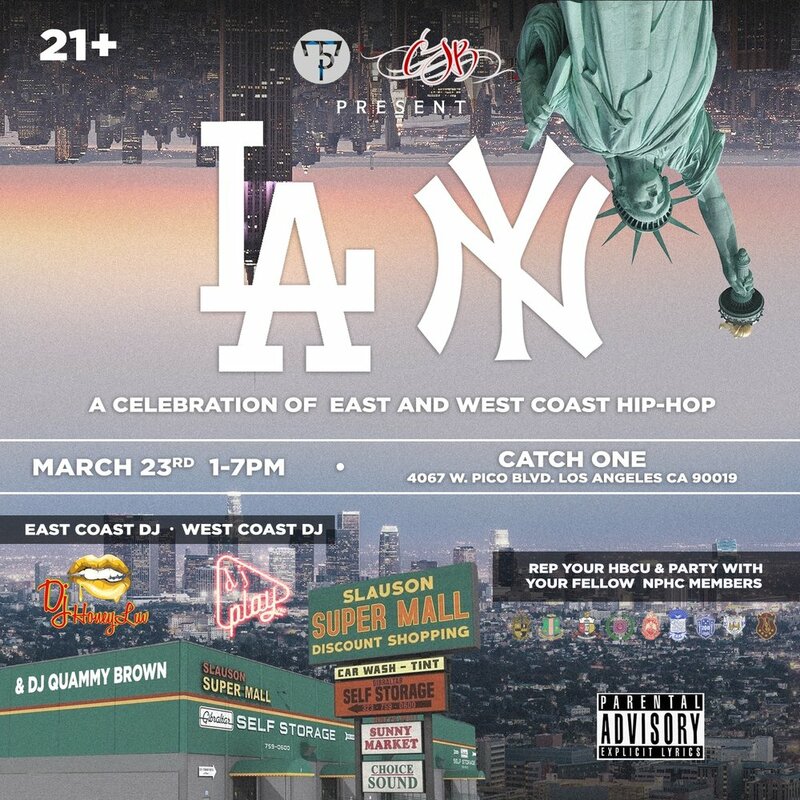 This event is a celebration paying homage to the most influential coasts of hip hop, the East and West coast! So bring your friends, come through, and have a great time! Come out for the sixth installment of "Black N Brunch LA" with that free RSVP ya’ll! It’s going up with some dancing, great DJ sets, giveaways, amazing food, and of course out favorite thing: melanin! P.S: No Hollywood feels allowed, just great vibes only !! Oh snaps, 88thx11Mile has cooked up another night for us to turn up, dance, enjoy each other, and EAT FREE LEMON PEPPER WINGS ya’ll. Its that time again ya’ll! It’s hot and dry in Arizona and that's where we're headed to see whats going on with Savannah, Robin, Bernadine, and Gloria. Will Bern burn that car in front of The Fields? You never know what's going to happen when its time for Brunch 2 Bomb…but you best find out! We haven’t forgotten it’s Womens Month ya’ll! Join Kliit Gives in this curated space that awakens your inner goddess through specific kundalini yoga practices, guided mindful meditation, mantras, and some wellness tips with you and your body in mind. Come Up LA is back for another monthly round of #supportblackowned businesses! Come Up Markets is an eclectic shopping excursion for fashion enthusiast, thrift shoppers, gold grill rockers, sneakerheads, art collectors, vinyl aficionados, innovators and conscious consumers. Come shop, connect with local Black vendors, eat, and vibe out to emerging live artists/DJ’s. It’s our favorite hump day turn up! Come out for some wicked sounds from around the diaspora at this once a month Afro-Caribbean event in DTLA. No cover, just good vibes! Newer PostThe Weekend Turn Up for Our Kinkfolk!